The Bishop of Lancaster has decided that the Talbot Library in Preston, which has been a much-prized repository of Roman Catholic Literature and artefacts for more than 20 years, is to close on December 31st. The loss will be greatly felt by many people researching Catholic history and students fro the nearby University of Central Lancashire. 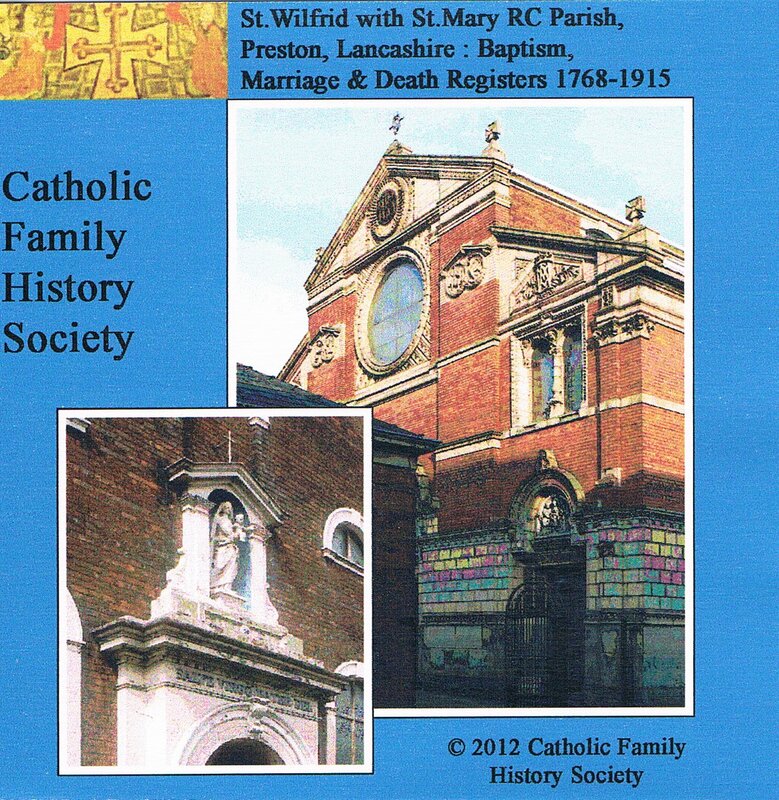 The NW Group of the Catholic Family History Society has held many happy and fruitful meetings there. Because the annual Christmas closure had already been scheduled, the Library will be effectively closed from FRIDAY DECEMBER 13th. The Jesuits served the Preston Mission from at least 1701 and possibly earlier from 1685, first in an older chapel, then in a newly built St Mary’s, on Friargate, from 1761. Preston Catholics used this chapel for over thirty years. By the late 1780s, St Mary’s had become too small for the congregation and was closed and used as a warehouse when St Wilfrid’s Church was constructed off Fishergate, opening in 1793. Later in the nineteenth century St Wilfrid’s was extended and substantially renovated both inside and out. You can buy this disk from GENfair using your credit card and we can ship to anywhere in the world. All our other publications are also available this way.